On Nov 12, 2014 The College of Family Physicians of Canada (CFPC) released a follow-up document to the 2013 Report Card, entitled “From Red to Green. From Stop to Go. 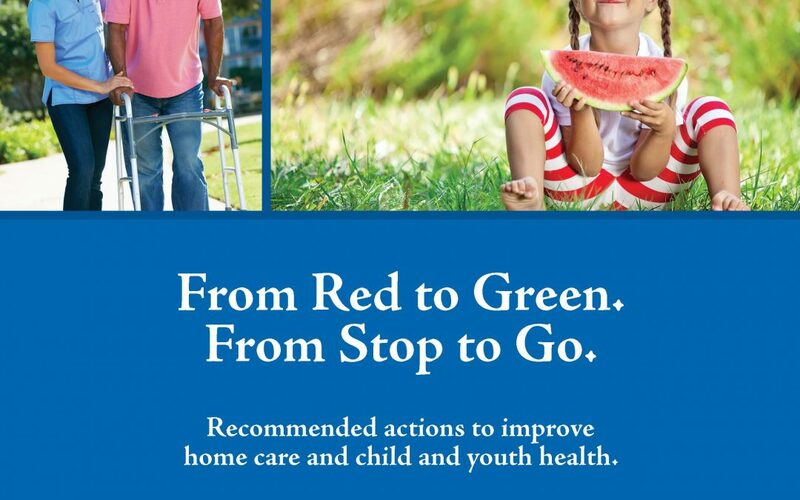 Recommended actions to improve home care and child and youth health”. The document provided specific recommendations on federal government participation in two key areas of health care that received a grade of red in the 2013 report card. View the document for the specific recommendations within. The Patient’s Medical Home plays an important role in CFPC’s recommendations to federal government to improve home care and child and youth care The CFPC looks forward to working with the federal government in ensuring that the people of Canada have access to the kind of comprehensive, timely, high-quality care that is provided within the Patient’s Medical Home.